This was the 27th performance given by The Beatles at Aintree Institute, which was situated at Longmoor Lane in Aintree, Liverpool. It was put on by Brian Kelly, who ran Beekay Promotions in Liverpool, and was the sixth of seven consecutive Saturday night bookings for The Beatles at the venue. 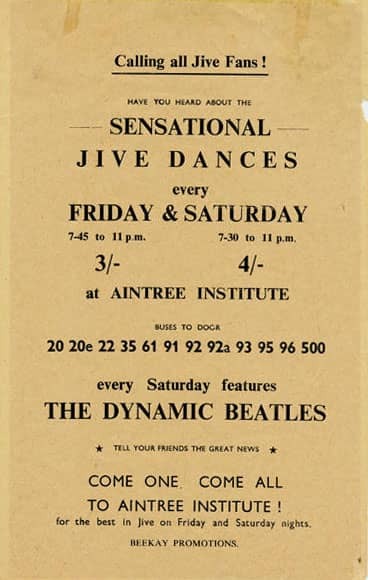 The Beatles played at Aintree Institute on 31 occasions, between this date and January 1962. The other dates were 7, 13, 14, 18, 21, 27 and 28 January; 8, 10, 15, 18, 22 and 25 February; 1, 4, 8 and 11 March; 21 and 28 July; 4, 12, 18, 19 and 26 August; 2, 9 and 23 September; 28 October; 11 November 1961; and 27 January 1962.